Posted in: Lego News, LEGO Store. Tagged: Lego Store, News, ULUG, Utah. 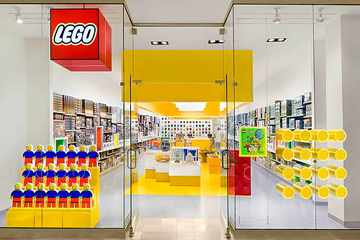 My inbox filled with joy last week when I got a date for the LEGO store opening at fashion place mall; And I’ve been waiting on pins and needles to be able to share that date with you. That permission came in another email today. The Utah LEGO store opens September 20th, 2013. Some of the details are still missing, since we don’t know if this is the grand opening date or some soft opening to give new employees a chance to train and learn the ropes. But I can tell you where I’ll be on September 20th. and if the grand opening, and all of it’s prizes and giveaways are a later date I’ll be there then too. Posted in: Lego News, Official Sets. Tagged: 10236, Ewok Village, High Res Pictures, LEGO, Lego Exclusive, Lego Shop At Home, New sets, Star Wars, UCS, ULUG. As is Common with most of LEGO’s exclusive sets, The LEGO group unveiled it’s Newest exclusive set 10236 Ewok Village to the public today, at a LEGO Fan even in the Czech Republic. Posted in: Events, Train Shows, ULUG News. Tagged: Great Train Show, Kids, LEGO, train show, ULUG. The Great Train Expo is coming to Salt Lake City this week, and ULUG will be there to with the LEGO. If you’ve not seen the LEGO layout this year, this will be your last chance. if you have you can expect some changes. But if you wait till next year it will be all different. nothing will be the same. Cost: Adults $7.00, Children 12 and under FREE. Posted in: Community Events, Community Events, Events, ULUG News. Tagged: 2012, Boy Scouts, BSA, Ogden Area Event, Scout-O Rama, Trapper Trails, ULUG. Just a reminder: ULUG will bring the LEGO and present it to you at the 2012 Trapper Trails Ogden Area Scout O Rama event. Posted in: Lego News, Lego Sales, Uncategorized. Tagged: LEGO, May the 4th, Revenge of the 5th, Star Wars Sale, ULUG, Utah. 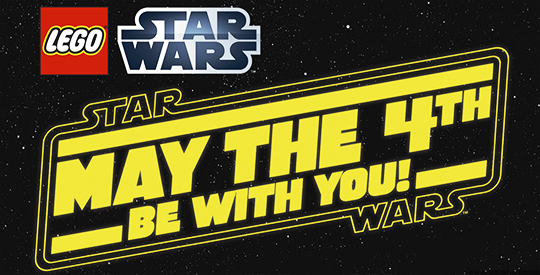 It’s that time again, The Annual Unofficial Star Wars Days, May 4th (May the forth be with you) and 5th (Revenge of the 5th). Lego Again is making a great showing to be a part of the celebration and capture your Star Wars Spending Dollars. 1)After you’ve made your purchases on May the 4th, you can visit starwars.lego.com/creations to upload a picture of one of your creations (MOC) which will be used as to make part of a virtual mosaic to be revealed on May the 5th.